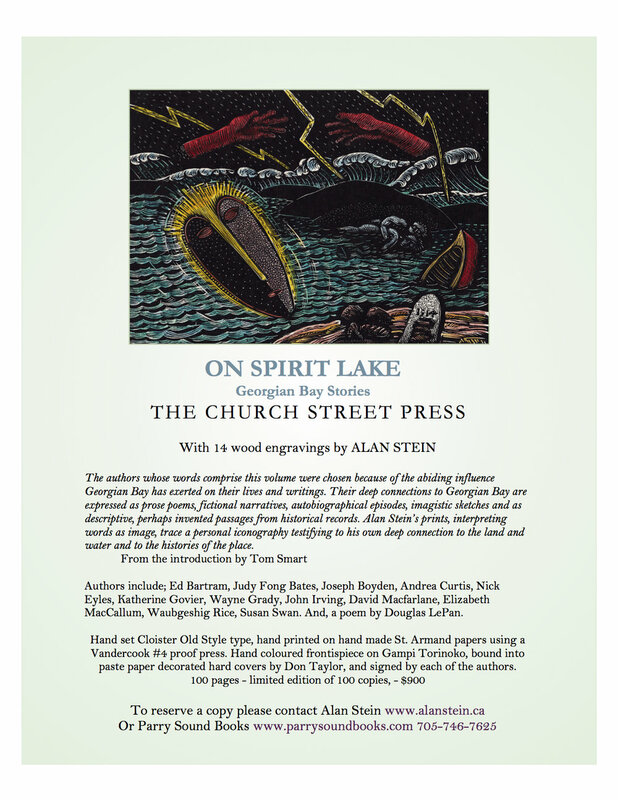 Alan will be showing his wood engravings and broadsides, and pages from his upcoming book, "On Spirit Lake, Georgian Bay Stories"
New Work by Alan Stein shows how inspiration has found the artist at home and abroad. 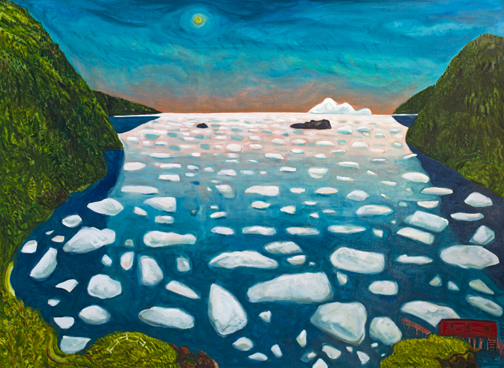 With views taken from his globe-trotting and his homes in Newfoundland and Georgian Bay, this impressive exhibition draws from sources as varied as Tom Thomson, traditional European architecture, and pack ice in from Greenland. Stay tuned for a blog post from the artist, and join us at 2pm during the opening reception on November 18 to hear Stein speak about his work and travels. Join us tonight for the opening night preview for Art Toronto 2017.
of our most collected historical and contemporary artists. Jack Bush, and many others. Revisiting the Rural is the Christina Parker Gallery summer exhibition featuring many of the gallery artists who have created a response to their personal landscape. The diversity of the work in this exhibition reflects the range of work that the gallery continually exhibits including painting, photography, sculpture, drawing and printmaking. The public opening for the exhibition is Thursday, July 13th from 5:30 – 8:00 pm and the exhibition continues until August 31. Artists will be present. Music will be by Boyd Chubbs. Alan's wood engravings from The Golden Lilies by P.K. Page will be shown on the screen during a performance of Neil Young’s “After the Gold Rush”in an exciting new production at SOULPEPPER. Slaight Family Director of Music Mike Ross leads a company of stellar artists through a celebration of Canada’s diverse musical offerings that have been our nation’s gift to the world. Soulpepper Theatre operates inside The Young Centre for Performing Arts and is located at 50 Tank House Lane - the north-east corner of the Distillery Historic District, at the intersection of Mill Street and Cherry Street. 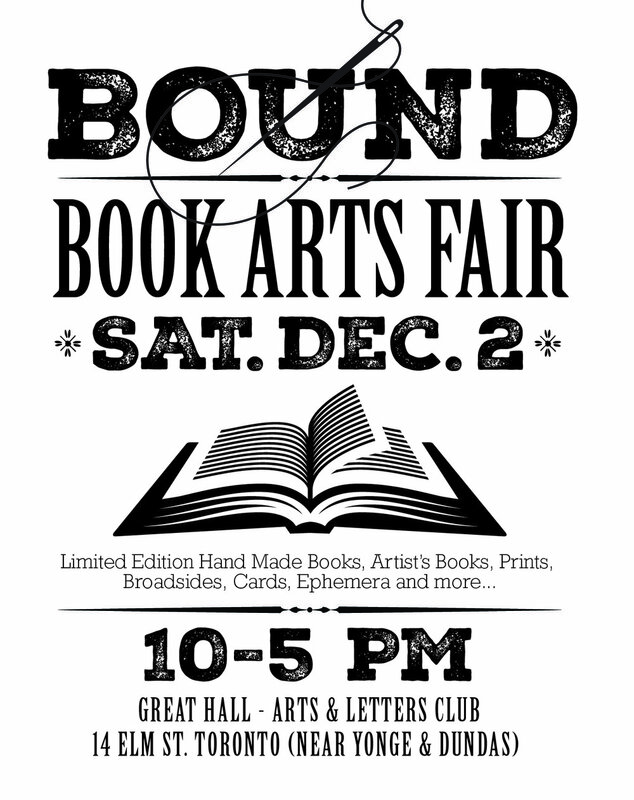 I will be showing my hand printed books and wood engravings along with other members of the Arts & Letters Club - open to the public. 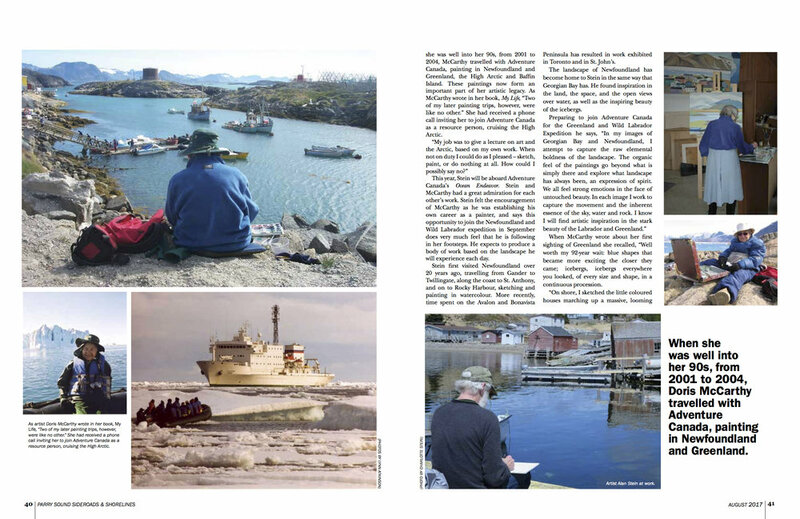 In the fall of 2017 I am going on an exciting expedition and you are invited to come along - have a look at the Adventure Canada website for more information. We'd love to have you join us! Following the successful publication of ‘Viewfinder’ the collaborative limited edition book project between Alan Stein and Michael Crummey, a new hand-printed broadside of Michael Crummey’s poem “An Old Sailor’s Portion." (1932) is now available from the Church Street Press. Hand printed on St. Armand hand-made paper with a single wood engraving, in a limited edition of 99, 22x60cm. Signed and numbered by Alan Stein and Michael Crummey. Available from the Church Street Press and Parry Sound Books. 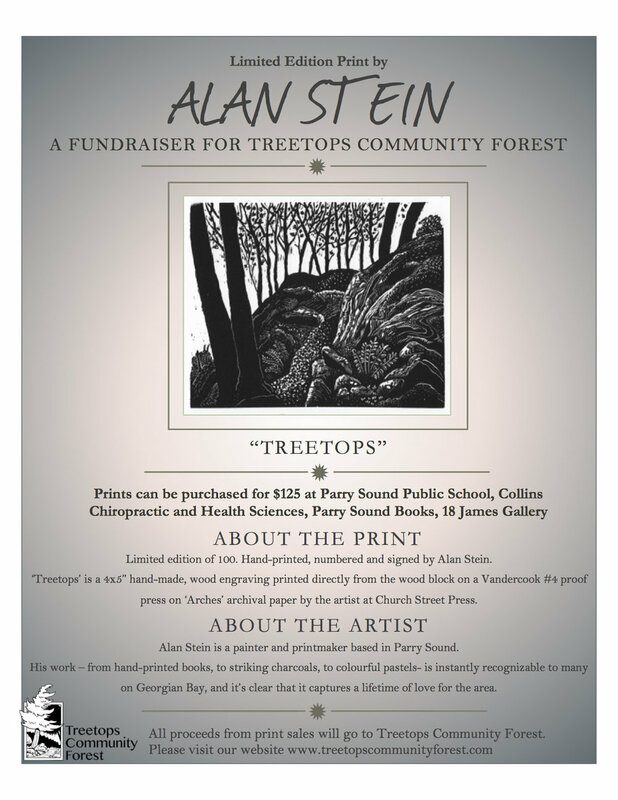 Several wood engravings from Alan's award winning hand printed book "Home Country" selected poems by Al Purdy, have been on the big screen across the country since the documentary film Al Purdy Was Here, premiered at TIFF in Toronto last Fall. It will be shown again at the Arts & Letters Club in Toronto on April 13, please check www.alpurdywashere.com for information about the film.